But while the RBI has made provisions for the value of such notes to be refunded to the owner, either in full or as a matter of grace depending on the state of the note, two of the newest denomination notes are conspicuously absent from the list: Rs 200 and Rs 2000 notes. There are many reasons why a currency note gets soiled or disfigured, ranging from excessive handling to getting torn/wet and nibbled on by white ants. But while the RBI has made provisions for the value of such notes to be refunded to the owner, either in full or as a matter of grace depending on the state of the note, two of the newest denomination notes are conspicuously absent from the list: Rs 200 and Rs 2000 notes. According to The Economic Times, banks are finding it impossible to exchange soiled Rs 200 and Rs 2000 banknotes as the rules governing their exchange are yet to be amended. The exchange of soiled, mutilated and imperfect notes are governed by Reserve Bank of India (Note Refund) Rules, a part of Section 28 of the RBI Act, which only specifies currency notes of Rs 5, Rs 10, Rs 50, Rs 100, Rs 500, Rs 1,000, Rs 5,000 and Rs 10,000 denomination. To remind you, the Rs 2000 note was issued post demonetisation in November 2016 and the Rs 200 note started trickling down to the masses from September 2017 onwards. 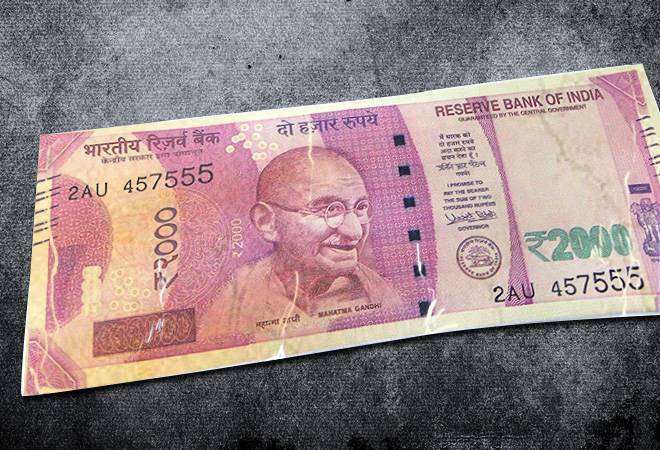 Last month, after news broke that the government had halted printing of Rs 2000 denomination notes, Economic Affairs Secretary SC Garg had said, "There is no need for supplying Rs 2,000 notes as it is in over supply. The total worth of Rs 2,000 notes in the system is Rs 7 lakh crore in the system." So we are looking at a lot of potential soiled or damaged notes here. The report said bankers claimed that there have been few cases of mutilated notes in the new series so far but also cautioned this could become an issue if the law is not amended soon. "Due to change in size of Mahatma Gandhi (New) Series notes, mutilated/imperfect notes in MG (New) series could not be exchanged under the existing rules necessitating amendments to RBI (Note Refund) Rules, 2009.The mutilated/imperfect notes in the MG (New) series can be exchanged after notification of amendments in the official gazette," the apex bank told the daily, adding that it had written to the finance ministry about the need for amendment in 2017. But sources claim that a reply is yet awaited. In the meantime, you better handle your Rs 200 and Rs 2000 notes with care. Soiled bank notes of the other denominations can be exchanged for full value at any commercial bank branch while mutilated notes can be tendered at Reserve Bank of India Offices/designated bank branches. According to a circular issued by the central bank, you can also choose to send mutilated notes by post for adjudication to the nearest Issue Office of Reserve Bank of India. Do note, however, that banknotes that are less than half the area of the full note or counterfeit or those that have been deliberately cut/tampered with are not eligible.